Coquina Cove is a beautiful waterfront community located along the intracoastal in Boynton Beach, Palm Beach County, Florida. Coquina Cove features single family homes with many luxury upgrades. Some of the upgrades include oversized floor plans, gourmet kitchens, stainless steel appliances, crown molding, upgraded flooring, walk in closets, swimming pools and outdoor kitchens. The Coquina Cove community is also conveniently located near A rated schools, shopping, dining, parks, golf, the beach, theaters, and much more. 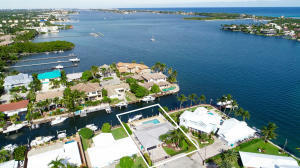 Coquina Cove in Boynton Beach is really a wonderful location. The Boynton Beach location is amazing. But, if this isn't the community for you, you might like one of the other local communities like Nautica or Hunters Run or Carriage Pointe Twnhms Pud that are located here as well.